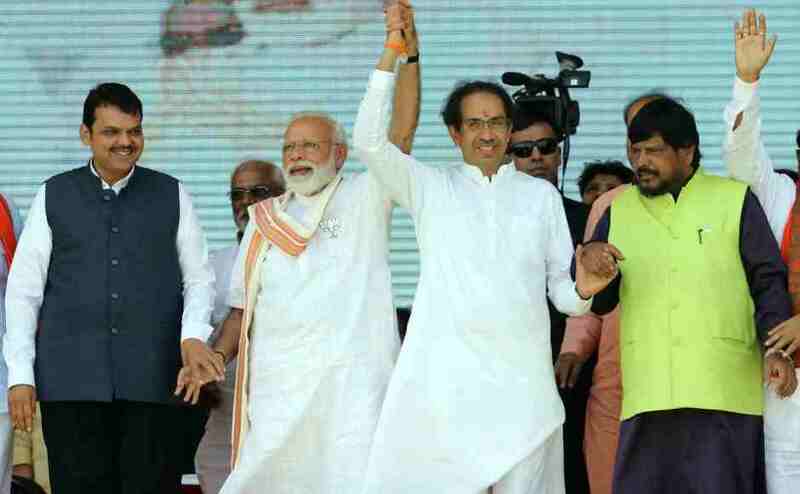 Chances of the Bharatiya Janata Party (BJP) and Shiv Sena contesting the Lok Sabha polls as allies have become bleak after Shiv Sena leader Ramdas Kadam has threatened to "bury" the BJP in the upcoming Lok Sabha polls. Kadam's comments are in response to BJP chief Amit Shah's threat on Sunday, which said that if an alliance happened, the saffron party will ensure victory for its allies, but if it did not, the party will thrash its former allies in the general election. Other Shiv Sena leaders have also responded to Shah's comments, saying that the BJP’s position shows its arrogance. "You don't want Hindutvavadis. With this statement, you have shown that you would rather enter into an alliance with EVMs," party chief Uddhav Thackeray said on Monday. The Shiv Sena chief added his party was ready to take on whoever challenges it. "This state will show you defeat," Thackeray said. However, despite the sharp exchange of words between the two parties, both the political outfits know that their survival depends on support to each other, and not in abandoning each other. Whether a pre-poll or post-poll alliance, one is requisite to stay in power, or for that matter retaining it. This posturing is just good theatre for the media. Going by the spate of losses for the BJP, as well as talks of Opposition parties forming alliances to defeat the saffron party at the Centre, an alliance with the Shiv Sena is exactly what the BJP needs to maintain its stronghold. According to The Times of India report, a BJP functionary as said that: "The BJP needs the Sena as much as the Sena needs the BJP." The functionary added that whatever the Sena’s public posturing may be, it cannot join hands with the Congress-NCP alliance, nor can it venture to go alone in the polls. The BJP has seemingly recognised this as well, with Minister for Finance and Planning Sudhir Mungantiwar denying any deadlock or breakdown in talks with its ally. He said on Tuesday that the leadership was pretty confident of a pre-poll alliance with the Shiv Sena. "Even Chief Minister Devendra Fadnavis is confident of a pre-poll alliance with the Sena. While the BJP has always been open for a pre-poll alliance with like-minded parties, it was for the Sena leadership to take a call," Mungantiwar said. Fadnavis, while speaking at an event, said the BJP will certainly seal a poll pact with the Sena in the state. "What he meant is that the BJP debacle in Rajasthan, MP and Chhattisgarh will not have an adverse impact on the Maharashtra polls, and that the Sena shouldn’t be apprehensive about teaming up with the BJP," the BJP functionary told The Times of India. The Shiv Sena and BJP had contested the 2014 Lok Sabha polls in the alliance but split up at the time of Assembly elections following differences in opinion over the seat split between the two parties. The Sena joined the state government later that year. This same seat sharing debate between the two parties has soured relations between them considerably for the upcoming Lok Sabha polls as well. 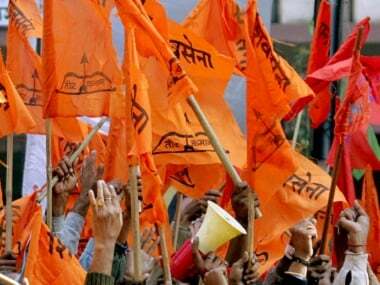 On 23 January, 2018, the Shiv Sena parted ways with the BJP and decided to go solo for upcoming elections. The Sena has since attempted informal negotiations, seeking an equal seat-sharing arrangement. "We want an equal seat sharing formula in Lok Sabha (24:24 seats) and assembly polls (144:144). We are prepared to settle for 144 seats in Assembly polls but we will not leave some of these seats for smaller allies. 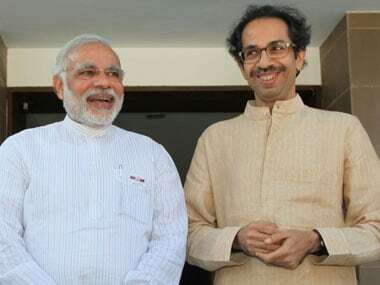 The BJP can allot some seats out of its quota for others," a Sena leader was quoted as saying in December 2018. But a senior BJP minister, requesting anonymity, admitted that Shah's remarks from Sunday had complicated matters. 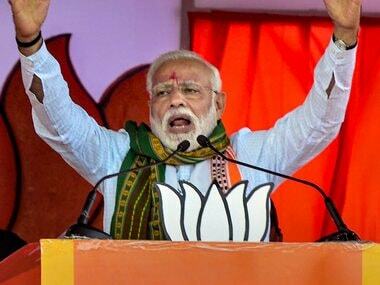 To add to the feud, the Shiv Sena has also been sharply critical of the BJP and Prime Minister Narendra Modi for his "failure" to construct the Ram Temple though it has been in power for over four-and-a-half years now. 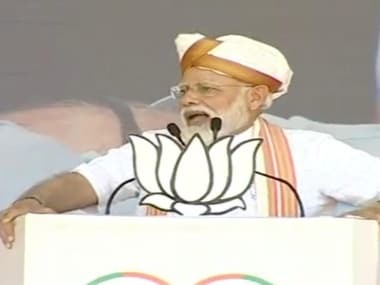 On several occasions, Thackeray has demanded that Modi declare the Ram Temple promise was a jumla to the Hindus and his party would take the lead to build it, claiming its priority was "temple before government". From harsh comments on demonetisation to criticism of party's pet schemes, the Sena steadily upped its ante. Another blow to the reconciliation efforts from the BJP camp was Sena's unrelenting attack on Mungantiwar following tigress Avni's killing. Sena chief Thackeray himself had opened the attack against Mungantiwar following Avni's death demanding a probe in the incident. A hurt Mungantiwar pulled back from the reconciliation efforts, saying he was hurt by his "friend" Uddhav's stance. The Sena appears to be using these tactics to show its alliance partners that it holds all the cards and will emerge as the big brother in the state.